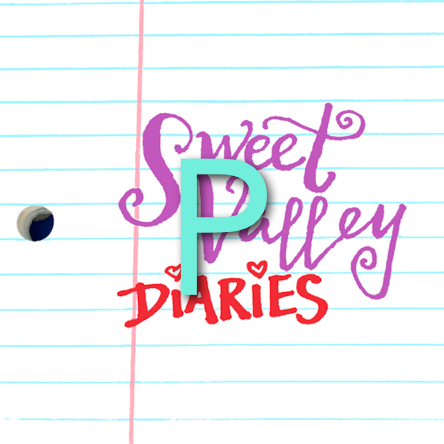 There's a Sweet Valley Diaries Podcast Now?? Yes! After years of wide-eyed blogging about the surreal 1980s perfection of Francine Pascal's Sweet Valley High book series (and the surprising psychodrama that lurks below the town's perfectly-tanned surface), I'm now forcing friends and family to read the series with me. Every other week, I bring on a new guest – many of whom are new to the very idea of a "Sweet Valley" – and we unpack one of these soap-operatic tales, starting with book #1. It's all good fun for both die-hard fans and new blood...but watch out, because nostalgia can get ROUGH. The simplest way to get a sense of what you'll be getting with the show is to listen to this short teaser! ng psychodWhatever app you already use to listen to podcasts should have the show already – just search for "Sweet Valley Diaries" and hit "subscribe." If you're new to podcasting or are just looking for a shortcut to the most popular platforms, look no further than the links below. Note that in between each main, recap episode, there's a bonus episode. These bonus episodes are called "EXTRA DRAMA" because that's just what they contain. Extra. Drama. Extra Drama #12: OMG [Spoiler] is [Spoiler]! Extra Drama #4: Lila Fowler Drives a Green Triumph. Extra Drama #3: He's STEALING Her WIND! Extra Drama #2: Keeper of the Sweet Valley SECRETS! Extra Drama #1: DOUBLE LOVE's Double Standard!